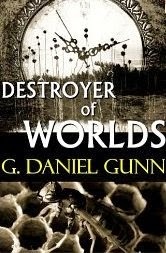 New review for Nightmare... and Destroyer for only 99 cents! "This is a very good novella with a couple twists that are sure to keep the reader guessing and cause nightmares in their own right. Soares and Gunn handle the story with a deft hand.... This is a strong story with an almost stream-of-consciousness feel to it and another strong addition to the “Childhood Fears” series...."